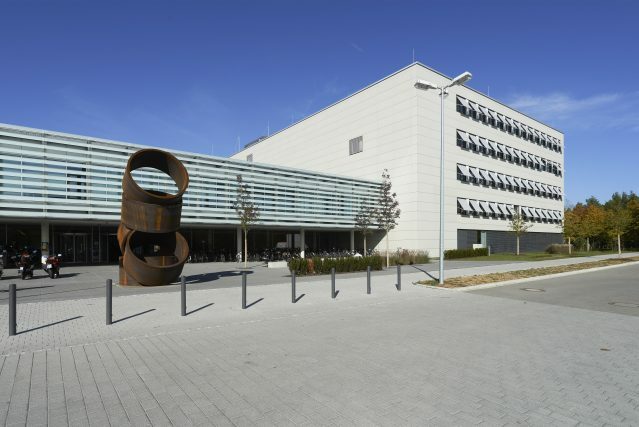 From March 11th to 16th, Umberto Biccari, member of the DyCon project, visited the Friedrich-Alexander Universität in Erlangen, Germany, invited by Prof. Günter Leugering. During this period, he had the occasion to meet the member of the Chair in Applied Mathematics 2, led by Prof. Leugering, and to share with them his most recent research works on the control of non-local PDEs (related to DyCon WP5) and of collective behavior models (related to DyCon WP6). Moreover, he gave a talk presenting his recent result on the dynamics and control of multi-agent networked systems, which can be found here. The slides used for the presentation can be found here.